As we were saying before, Skype for Business is an essential part of TechWise Group’s every-day life. Below you will find a bunch of really helpful tools within Skype for Business that allow you to have a productive meeting. With the Dial-in Conferencing Services, it is possible for ANYONE to dial into a Skype for Business meeting or conference from a phone. For dial-in conferencing, you set up users to be able to use Microsoft or a third-party audio conferencing provider (ACP) as their dial-in conferencing provider. Once you set up the Skype for Business meeting, you will then be provided with a Dial-in Number and a Conference ID, which you will have to enter in order to join the meeting. 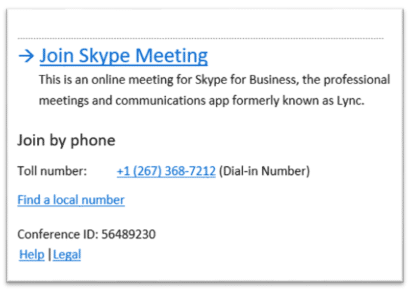 Anyone who has the dial-in number and conference ID can join a Skype for Business meeting, unless the meeting organizer has locked the meeting. And there is more to Skype for Business! 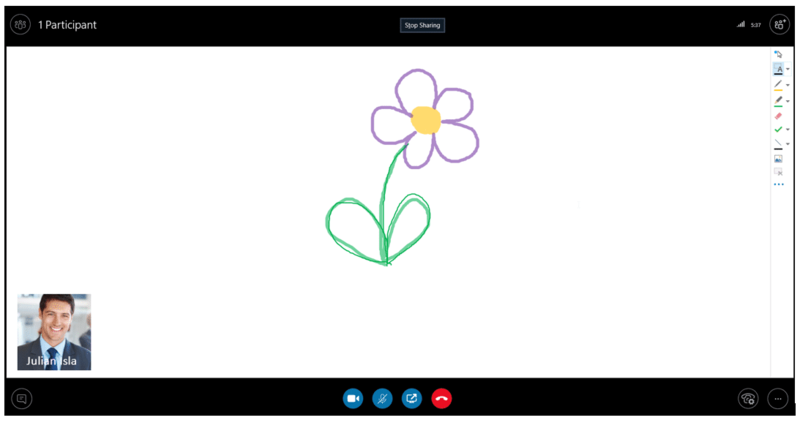 Skype for Business provides powerful PC-to-PC and multiparty data sharing capabilities. 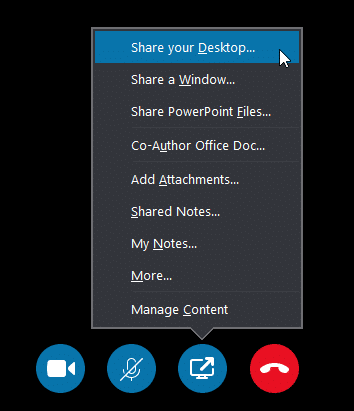 Desktop sharing enables presenters to broadcast any visuals, applications, webpages, documents, software, or part of their desktops to remote participants in real time, right from Skype for Business. Audience members can follow along with mouse movements and keyboard input. Presenters can choose to share the entire screen or only a portion.